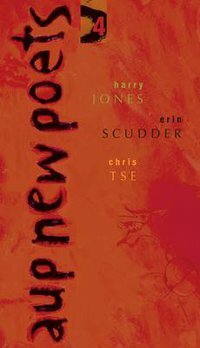 AUP New Poets 4 will be out soon, featuring Harry Jones, Erin Scudder & Chris Tse (published by Auckland University Press). I don’t know the other two poets, but I was in a poetry workshop with Chris Tse a few years ago and he’s very good. It will be launched at Te Taratara ā Kae in Victoria University’s Rankine Brown Library on 17th March 5pm – 7pm. The series is a great way to get to know the work of new poets, three at a time. I was in AUP New Poets 3 with Katherine Liddy and Reihana Robinson; Volume 2 featured Stu Bagby, Sonia Yelich and Jane Gardner; and Volume 1 had Raewyn Alexander, Anna Jackson and Sarah Quigley. Here’s to the next volume! This is great news. I am a fan of Chris Tse’s work too. It’s wonderful the way AUP brings three new poets together like this.